Everyone loves the feeling they get from coming home from a tough day to just lean back and relax in their hot tub. 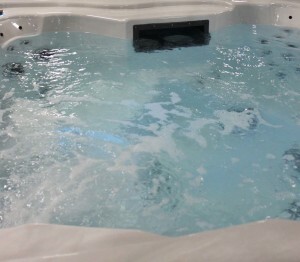 The pulsating jets, along with the steamy, hot water is just the right touch for melting away the stress of the day. Considering the stressful times we live in, it probably goes without saying that the hot tub is probably one of the most used items in the American home. Naturally, being one of the most used items in the home also means it will need to be one of the most cleaned items in the home, but who wants to think about that, right? 1. Check the water every few days – It should have 1-5 ppm of free chlorine or bromine, depending on which sanitizer you use. The pH should be about 7.2-7.8, with 7.4 being perfect, since it is the pH of the human eye. The calcium hardness should be 125 to 400 ppm, and the total alkalinity should be 120-180 ppm. 2. Change the water every three, four, or six months – It is best for you to follow the drain and refill procedures listed in your owner’s manual. To keep detergent and soap residue from building up in your hot tub, it is best to shower without using soap before your hot tub use. Your bathing suit should be sent through just the rinse cycle of your washer, or the full washing cycle without soap. 3. A mild, non-abrasive, non-sudsing cleanser should be used – It is best to avoid any hot tub or spa cleansers sold in a big-box or department stores. It is recommended that cleansers sold by the hot tub manufacturer or retailer be used. Soft rags or nylon scrubbers can be used. 5. The vinyl cover is the easiest part to clean – It can be sprayed lightly with the garden hose to loosen dirt and debris. A mild soap solution (1 tsp. dishwashing liquid or baking soda with two gallons of water) can be scrubbed in a circular motion with a sponge. Again, the garden hose may be used to rinse the cover. 6. Mineral particles or calcification from hard water can clog any filtration system – The cartridge can be sprayed with the garden hose, rotating the angles to remove debris from between the filter pleats. 8. The head pillows can be removed and cleaned, according to the procedures listed in the owner’s manual. 9. To achieve that shiny look on the outside coating of the hot tub, the manufacturer or retailer likely sells a cleanser or coating protector, which can be applied with a soft cloth or rag. 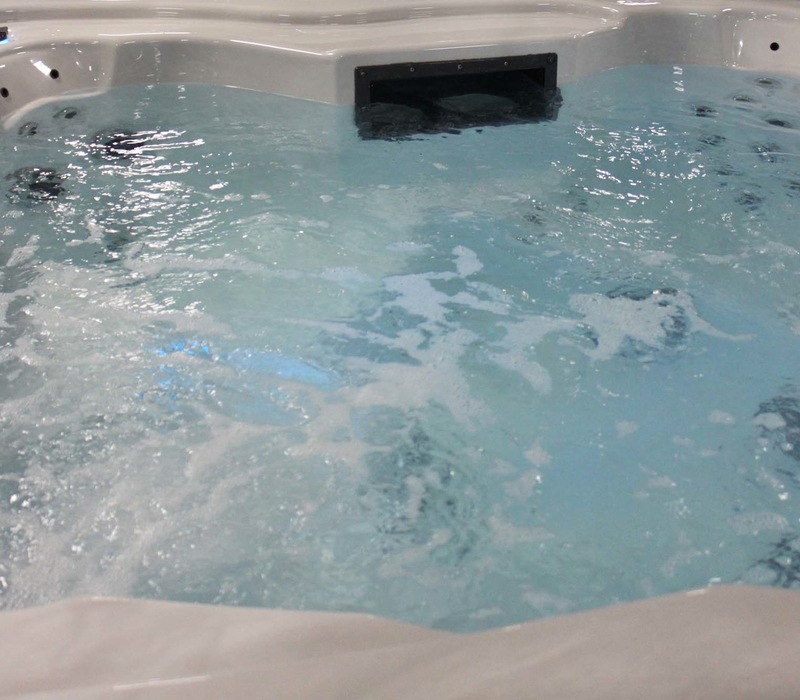 You can buy hot tubs factory direct from AlpsSpas, a worldwide manufacturer of hot tubs.